When Stella Clay's twin brother, Cole, is taken prisoner by the Dreamway, it's up to Stella, a stuck-up mouse, a nervous dragonfly, and a mysterious pirate to save him from the darkness before he's lost to the Dreamway forever. 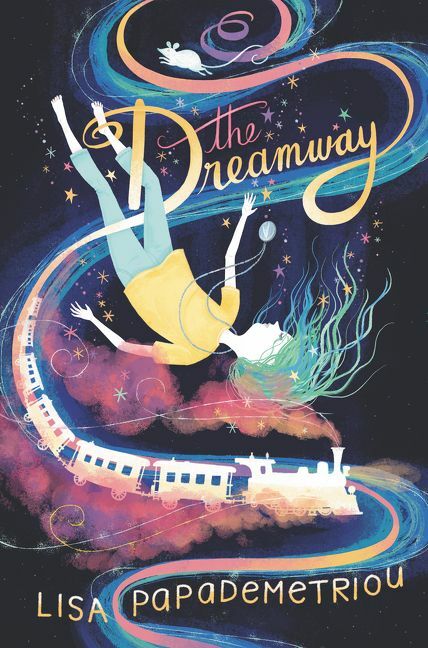 New York Times bestselling author Lisa Papademetriou delivers her most fantastical, emotional story yet in this tale of a young girl’s journey into her dreams to save her brother from the darkness that surrounds him. Perfect for fans of A Wrinkle in Time, The Phantom Tollbooth, and Echo. Stella discovers that the real Cole has been taken prisoner in the Dreamway. Determined to find him, she sets out with the “help” of a stuck-up rodent, a nervous dragonfly, and a mysterious pirate, and finds her way to the darkest edge of the Dreamway to bring her brother home…before he's trapped forever. In this allegorical exploration of childhood depression, with a moving author note that follows, Lisa Papademetriou gently and safely illustrates for her readers the emotional effects of anger, anxiety, and insecurity—and illuminates a pathway to hope and recovery.